Below you can view all the homes for sale in the Sandcastle Estates subdivision located in Henderson Nevada. 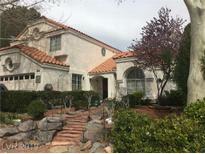 Listings in Sandcastle Estates are updated daily from data we receive from the Las Vegas multiple listing service. To learn more about any of these homes or to receive custom notifications when a new property is listed for sale in Sandcastle Estates, give us a call at 702-323-5903. Desirable Green Valley Community*2 Story*over 2,000 Sq Ft*3bed/3bath*den/Office*upgraded Gourmet Kitchen*backsplash*modern Light Fixtures*built In Bar*granite Counter Tops*wood Floors*separate Living W/Fireplace*family Room*ceiling Fans In Every Room*great Master Bedroom W/Fireplace*walk In Closet*spa Like Master Bath*larger Secondary Bedrooms*grass & Trees In Fun Backyard*close To Shopping,Dining, Parks, Freeway Access & So Much More* MLS#2086889. Keller Williams Market Place. The backyard is beautiful w/ palm trees and a covered patio. Low stress inexpensive hoa. 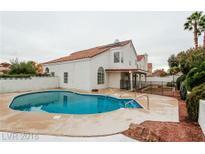 MLS#2084027. Simply Vegas. Get inspired as you work in a main floor office with French doors to the back yard. Call for your showing today! MLS#2060129. Full House Realty Inc. This home is part of the Village at Silver Springs. MLS#2053077. Opendoor Brokerage LLC. All of the surrounding amenities at your fingertips, Silver Springs Park and Rec center, schools, and park and playground and more. Fireplace in Master Bedroom. MLS#2014881. Beers and Associates.